Traditional yet with all the thrills of a modern drama. The production of Macbeth on at the Globe at present is fantastic. Superb acting in this fast moving production will appeal to traditionalists and those who are new to Shakespeare. Soldiers abseiling in, fast dance and fighting scenes , murder and celebrity culture. You wont be disappointed. Just make sure you can get a ticket before it sells out. 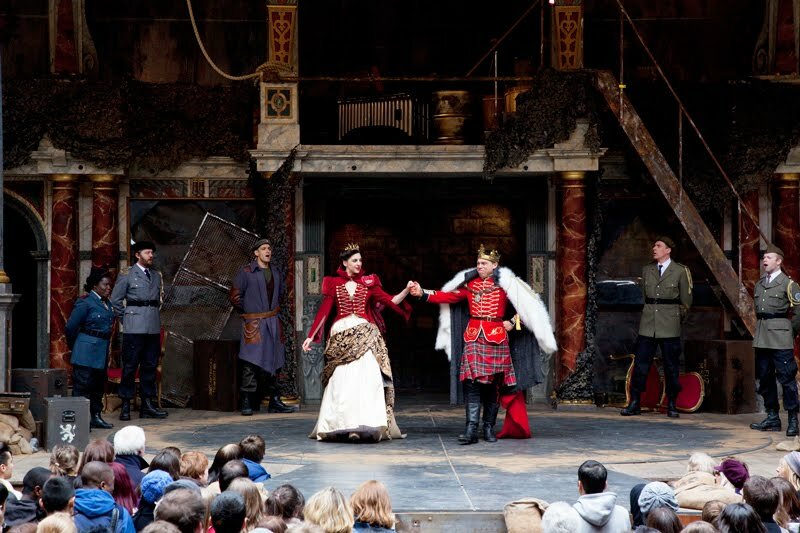 I love macbeth and I'd love to be a part of one of these outdoor scenes. One of the things on my "bucket list" is a Shakespeare at the Globe. Lucky you! One of these days I should see a Shakespeare play at the Globe. 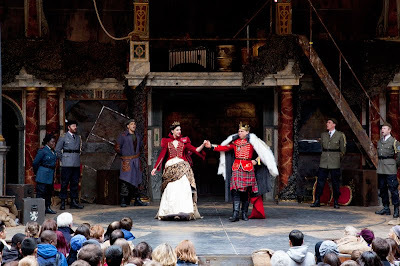 I have never been to the Globe and we took Macbeth in school so I wish I was there! Been to the lobby and gift shop of the Globe twice. Performances sold out both times I was there. Next time in London, I am buying tickets in advance and GOING IN THE THEATER!